This is a sort of project pan type post I suppose. At a time when we’re all eager to try out all our new things I just wanted to give some extra attention to these two as they’ve been in my collection a long time (longer than I care to admit at this point) but I’m desperately trying to finish them up so they don’t go to waste. I make sure to smell every pump before I apply (I did say they’re quite old right?!?) and I thought a little post featuring them would give me that boost I need to just bash it out! I fell in love with this from the moment I applied the little sample I got from Boots many a moon ago. 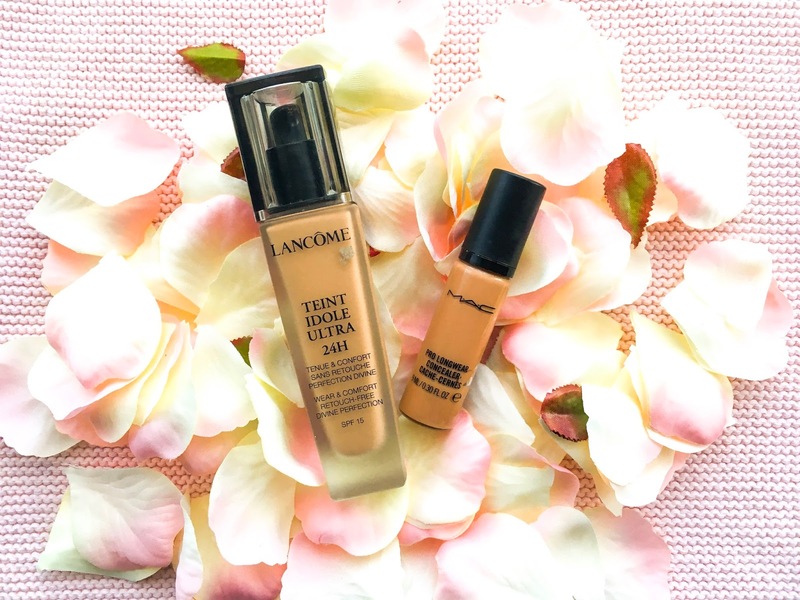 This long lasting, full coverage foundation is one that I’ve reached for on so many special occasions over the years(!). Its weightless on the skin but offers full coverage and somehow manages to look skin-like. This one is perfect for oily skins because it stays put and has a natural satin finish but never gets shiny. The colour isn't quite right for me being quite neutral, but I find that once it's on my face and blended out with all the rest of my makeup on, I can pull it off. I just make sure to use a bronzer with a large brush and it works a treat. I don’t know if they reformulated the foundation or not but they did re-launch it with a new name and additional shades so hopefully I will find a better match for when I repurchase, because repurchase I most certainly shall. I only have the tiniest amount left in the bottle and I predict about a week’s worth of use. I could be wrong though because the last time I thought I had reached the end of a foundation, it kept going for several more weeks. Haha. This is the best full coverage concealer out there in my opinion. I always feared fuller coverage concealers fearing they would be thick and cakey. I am so glad I went with this one because it offers great coverage but somehow manages not to look over the top. The formula is creamy and really adheres to the skin and lasts all day without breaking down. You need to be quick to set this one as it is very liquid and can settle into lines if you take too long. I pat on some powder with a damp sponge and it stays put, doesn’t crease and makes my under eyes look photo-shopped and flawless. NW25 has a touch of peach/pink about it making it great for both correcting and concealing my under eye area but I will be repurchasing this in NC35/NC40 because the formula also makes a lovely all over base too. Although there’s only 1/5 of the product left in the dinky bottle, a little goes a long way with this concealer so I’ve got a fair few uses left for sure. I just hope I get make use of every drop of it before it expires completely. What products do you feel need that extra attention to help you along with using them up? What foundations/concealers have you used up every drop of? I’d love to know..